Every day, decisions are made by organizations that impact the lives of people around the world. In the field of healthcare, some decisions have profound consequences. Organizations with strong ethical underpinnings, staffed with professionals who place equal importance on ethics, make decisions that place the well-being and care of its recipients above all else. Other organizations who pay little attention to ethics may make decisions that have the potential to profoundly and negatively impact the lives of those individuals under their care. Most organizations fall somewhere in between. Ethical conduct of both professionals who provide behavior analytic services and those organizations that employ them are critically important in the field of behavior analysis. Board Certified Behavior Analysts (BCBAs) are governed by the BACB's Professional and Ethical Compliance Code for Behavior Analysts. Unfortunately, organizations that employ BCBAs are not held to the same standard. In actuality, as yet, ABA agencies are not held to any ethical standards. During the 5 years we’ve been conducting live ethics webinars with Dr. Jon Bailey, PhD, BCBA-D, the world-renowned expert on ethics in the field of behavior analysis, we have seen the evolution of the field and the resulting consequences of this evolution as it pertains to ethics. It has become clearly evident that the ethical dilemmas in which many BCBAs and RBTs find themselves are the result of decisions that are made by the organizations that employ them. How do you address this? 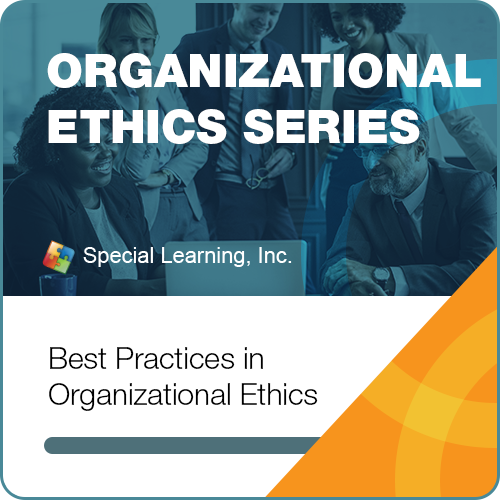 In our Organizational Ethics Series, we will explore this topic using a systems approach. The global autism ecosystem is comprised of many different parties, some of whom with conflicting agendas. And yet, in order to provide children, adolescents and adults with the services they medically need, each member of the ecosystem must work together and do their part to fulfill their obligations. It is when members of this ecosystem fail to ethically discharge their obligations that things being to change -- for the worse. On Wednesday, May 29, 2019, Special Learning with host our 5th and final installment in the Organizational (OBM) Ethics Series with Dr. Jon Bailey, PhD, BCBA-D. We will ireview key components of Organizational Ethics and delve head-on into the best and ethical practices for organizations. As with all our other Ethics webinars, we will incorporate cases submitted by BCBAs and RBTs in the field to provide a deeper learning experience.